Dargaville (Māori: Takuira) is a town in the North Island of New Zealand. It is situated on the bank of the Northern Wairoa River in the Northland region. The town is located 55 kilometres southwest of Whangarei. The population was 4,251 at the 2013 Census, a decrease of 204 since 2006 and 282 from 2001. It is noted for the high proportion of residents of Croatian descent. The area around it is one of the chief regions in the country for cultivating kumara (sweet potato) and so Dargaville is known by many locals as the Kumara Capital of New Zealand. The town was named after timber merchant and politician Joseph Dargaville (1837–1896). Founded during the 19th-century kauri gum and timber trade, it briefly had New Zealand's largest population. The area became known for a thriving industry that included gum digging and kauri logging, which was based mainly at Te Kopuru, several kilometres south of Dargaville on the banks of the Northern Wairoa river. The river was used to transport the huge logs downstream to shipbuilders and as a primary means of transport to Auckland. Dargaville also has the longest unbroken stretches of sand beach in New Zealand, and is largely drivable from one end to the other. This beach is home of the famous local shellfish delicacy called the toheroa, which was over-harvested in the 1950s and 1960s causing the population of the shellfish to decline enough that public gathering of the shellfish is now prohibited. Dargaville is also the gateway to the Waipoua Forest, a protected national park and home of the biggest specimens of Kauri tree in New Zealand, Tane Mahuta (Māori, meaning "Lord of the Forest") being chief amongst them. 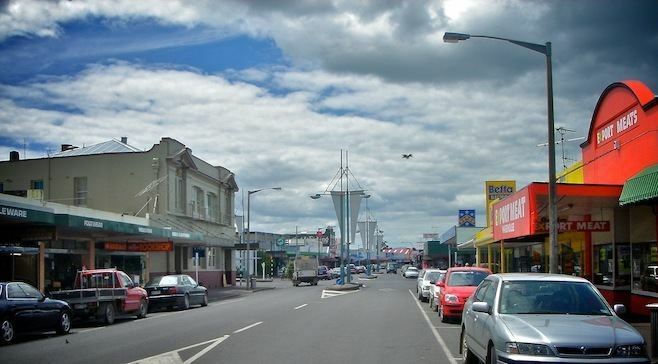 Dargaville is situated by the Wairoa River, with boat moorings adjacent to the city centre. The river is tidal when it passes through Dargaville. Köppen-Geiger climate classification system classifies its climate as oceanic (Cfb). Dargaville is on the junction of State Highways 12 and 14. North of the town, the Donnelly's Crossing Section railway was established to provide access to other logging activities. The first portion of this line was opened in 1889, it reached its greatest extent in 1923, and after operating isolated from the national rail network for decades, it was connected with the North Auckland Line by the Dargaville Branch in 1940. The Donnelly's Crossing Section closed in 1959, but the Dargaville Branch continues to operate today as a freight-only line, though its future is less than certain. The area around Dargaville is now predominantly a farming region and supports extensive dairy, beef, and sheep farms, as well as a thriving plantation forest industry. Other attractions are the Kai Iwi lakes some 25 kilometres north of the town, and Pouto Peninsula. Baylys Beach is the local beach, just 13 kilometres from the township, and offers over 90 kilometres of rugged west coast surf. Dargaville High School is a secondary (years 9-13) school with a roll of 528. The school opened in 1921, but was destroyed by fire in 1937 and rebuilt the following year. Dargaville Intermediate is an intermediate (years 7-8) school with a roll of 166. Both schools have a decile rating of 3. Dargaville Primary School and Selwyn Park School are contributing primary (years 1-6) schools with rolls of 401 and 128, respectively. Dargaville Primary was established by 1877. In 1879, it had a roll of 16, which grew to 155 in 1899. It has a decile rating of 4. Selwyn Park celebrates its 50th Jubilee in 2008. It has a decile rating of 1. 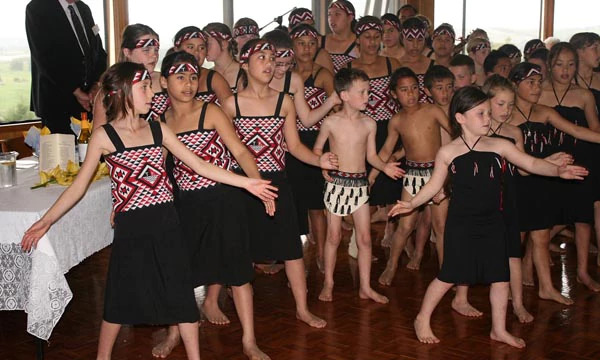 St Joseph's School is a full primary (years 1-8) school with a decile rating of 3 and a roll of 114. It is a state integrated Catholic school. NorthTec polytechnic also has a campus in Dargaville.